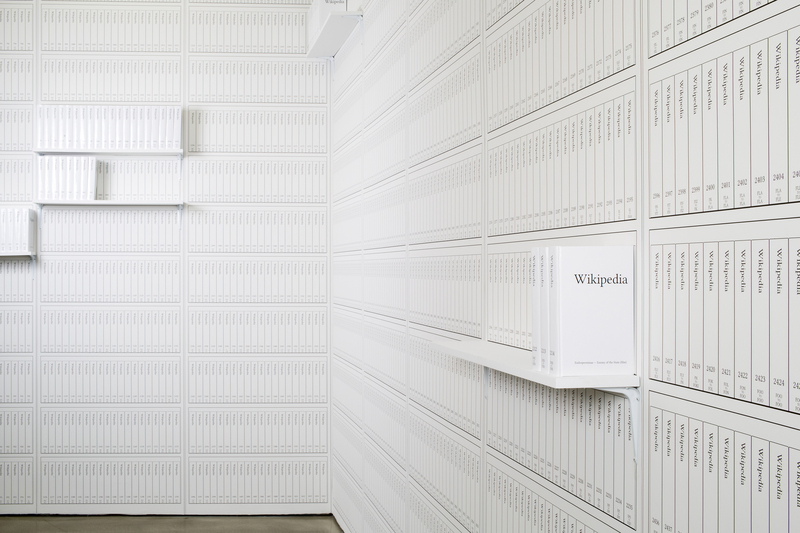 Print Wikipedia (2009–16) is a both a utilitarian visualization of the largest accumulation of human knowledge to date—the Wikipedia database—and a poetic gesture toward the challenges of knowing in the age of big data. To create the piece, I wrote software that transforms Wikipedia’s entire English-language database into 7,473 volumes of 700 pages each and then uploads them for print-on-demand. It draws attention to the sheer size of the encyclopedia’s content and the impossibility of rendering Wikipedia as a material object in fixed form: by the time a volume is printed, it is already out of date. Print Wikipedia was launched and first exhibited in From Aaaaa! to ZZZap! at Denny Gallery in New York City from June 18 – July 11, 2015. Print Wikipedia premiered in 2015 at Denny Gallery, New York to articles in The New York Times, The Washington Post, ARTnews, The New York Observer, Artforum, Slate and over 150 other publications. It has been exhibited widely, including a permanent installation by Arizona State University’s Art Museum in the stacks of the library, a German version at Import Projects, Berlin, and a Dutch version at biennial update_6 in Ghent, Belgium. 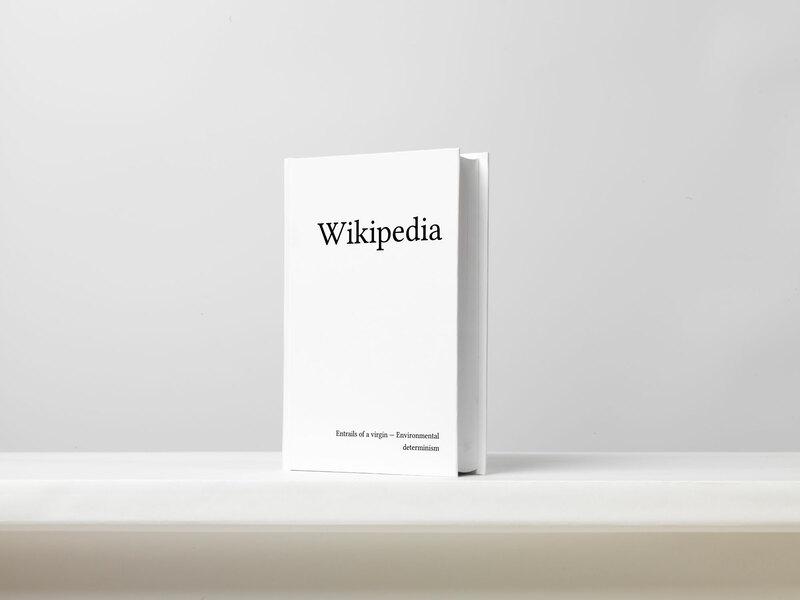 Print Wikipedia includes a 91-volume Wikipedia Table of Contents and 36-volume Wikipedia Contributor Appendix which lists the names of the 7.5 million Wikipedia users who have made at least a single edit to the website. Print Wikipedia was produced with the support of Eyebeam, the Banff Centre, Lulu.com and the Wikimedia Foundation. Print Wikipedia: From Aaaaa! to ZZZap!